SchoolCare have designed and implemented our 360 Degree Safety portfolio that encompasses 4 key principles. The ability to communicate is one of the key pillars of the 360 degree safety ethos. 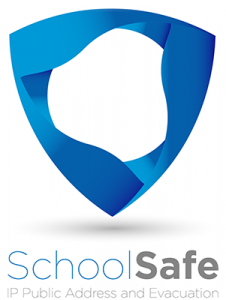 SchoolSafe public address system is a budget conscious solution to ensure that schools and academies are making the right steps towards safeguarding and security plans following the changes to the Ofsted guidelines. Ofsted now states that “appropriate arrangements must be taken to ensure children’s and learners’ security, taking into account the local context”. Public address technology was often overlooked in schools across the UK, it just wasn’t seen as a priority. Now that Ofsted are actively looking for schools and academies who have a safeguarding and security plan in place. Traditional public address systems had to have new infrastructure installed which made the whole deployment very expensive. As SchoolCare’s solution is IP based our system has features over and above the traditional public address systems. To view these features please visit our public address product page. All of our 360-degree solutions will use the schools existing wired infrastructure and network to get the new system setup. This means the school only needs new infrastructure installed where there isn’t any pre-existing network cabling available, this significantly reduces the overall capital cost of the solution. All components of the SchoolSafe Solution are powered using Power over Ethernet (PoE), further simplifying installation and reducing overall cost and with the ability to integrate with existing legacy systems (should they exist), will allow the SchoolSafe solution to be deployed as a Hybrid solution and cover areas not currently covered. A typical installation would see speakers installed in key areas such as hallways, classrooms, school halls and playground areas. The system is configured not only for safety and security but also to centralise normal alerts such as class change and break time. The everyday alerts would be distinctively different to the emergency alerts. SchoolSafe features a centralised scheduling system, which allows Daily, Weekly, Monthly or even Termly lesson change or announcement schedules to be configured. The SchoolSafe public address network is controlled via a central control panel and all components communicate back to this. Other devices such as paging microphones, break glass units and panic buttons can be connected to the control panel. Call us today for a free survey and to see how you can introduce a SchoolCare 360 Degree Solution into your school.